Josie Clarke – who works at TK Maxx in Newport – had heard so many great things about the Aspire charity from her good friend, Kayleigh, who volunteered at Aspire but sadly died earlier this year. She explained what a brilliant ambassador for Aspire Kayleigh had been and that she knew about all the great work happening and how much the charity was doing for the community. Josie was determined to get her company to offer much needed support. 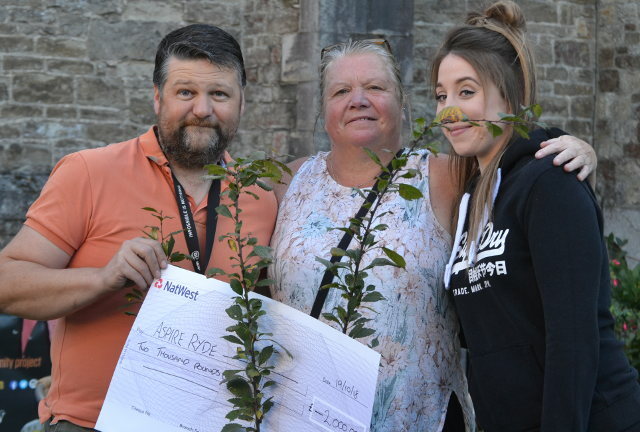 Aspire’s Heath Monaghan was thrilled to receive the cheque for £2,000, saying that it will help with many of the projects they are doing in the community. He thanked everyone at TK Maxx, adding that without donations such as this, their range of work would not be able to continue. 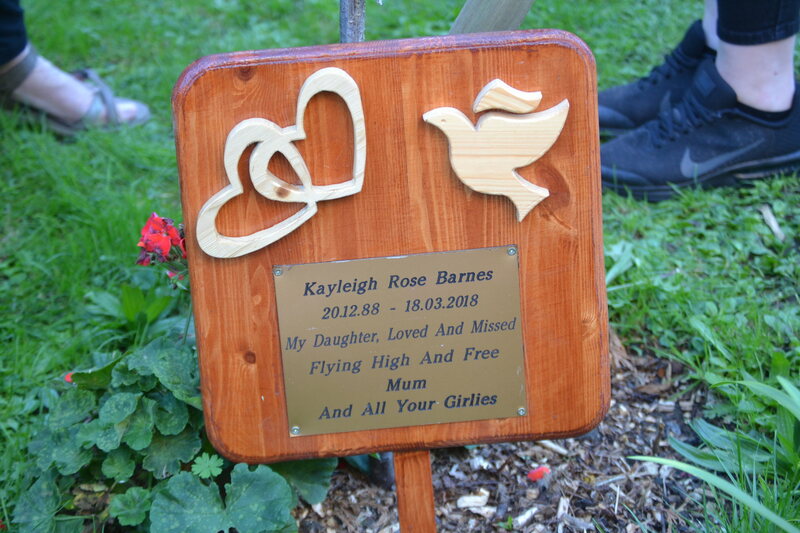 During the cheque presentation, a photograph was taken next to the commemorative cherry tree planted to remember Kayleigh. Kayleigh’s mum, Sue, also pictured believes Aspire Ryde is a superb charity and loves that even after her death, Kayleigh is still involved in initiating support for Aspire Ryde, who she was so passionate about.